Stacy + Charlie: last day for giveaway! Happy Friday! Don't forget, today is the last day to win a FREE Quick Design Fix Consultation! You can enter by liking this Instagram post, or you can enter one (or all) of the four ways below! Winners will be announced next week. 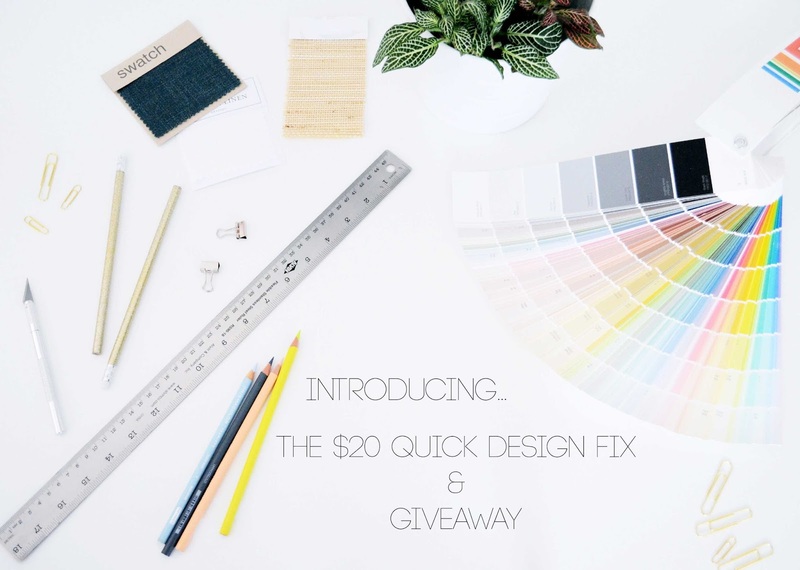 Also, if you haven't seen it yet, be sure to check out my webpage to read all about my new $20 Quick Design Fix service! UPDATE: Winners are Sarah Cotton and Kristin Kriegler. Please e-mail me at [email protected] to claim your prize!